Change the search language. Most often setting it to “Any language” works best. If you see a result, but it is not in the language you want: just tap on the result. Then tap the globe icon and select your desired language. After waiting a bit you can see if a translation is available. Then just tap to add the show in that language. If an older show exists with the same name, try to append the year the new show was released. 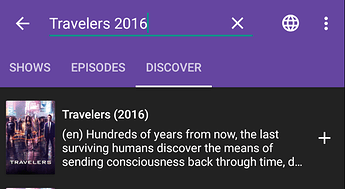 For example instead of “Travelers” search for “Travelers 2016”. 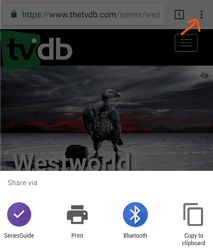 Try to find the show on the TheTVDB website. 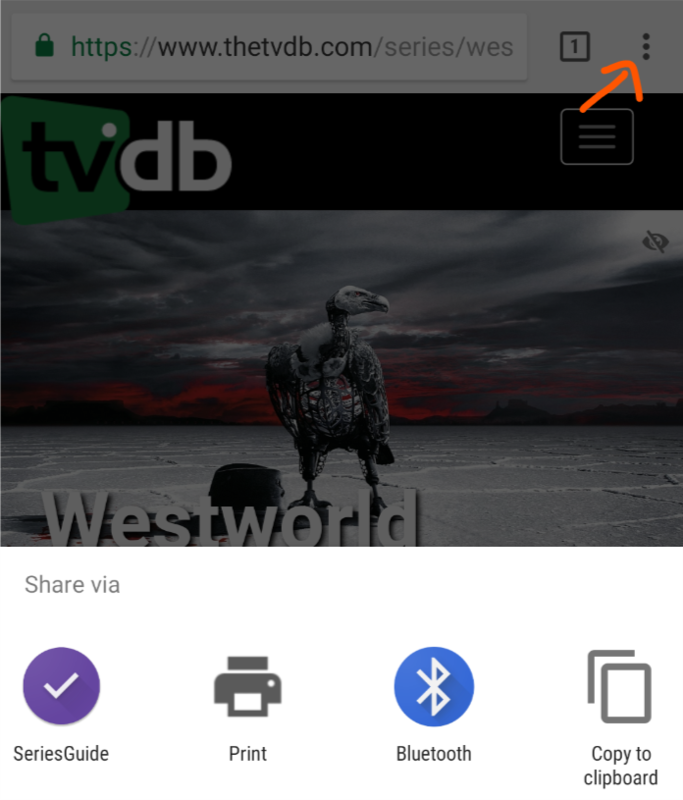 Then find the share button of your browser app (for Chrome it’s hidden in the three dots menu) and share it to SeriesGuide. Magnum P.I. Switch language to English, search for “Magnum”.